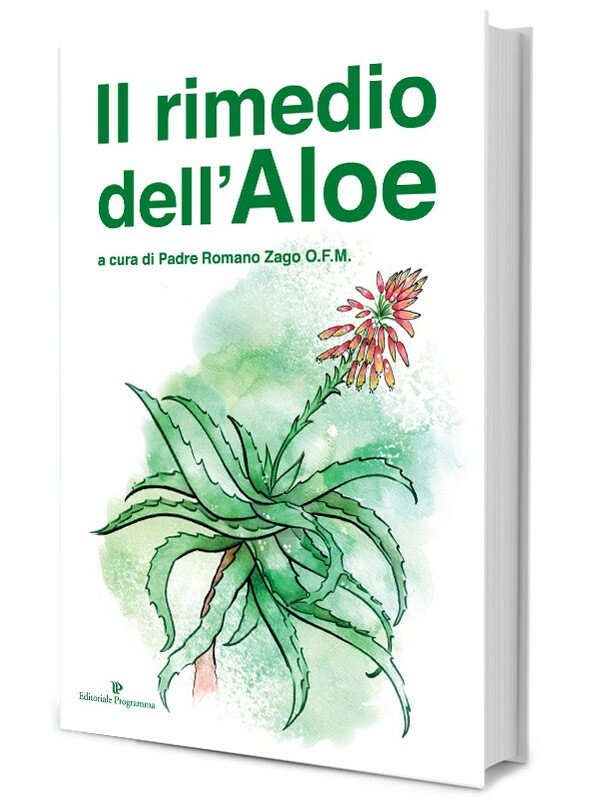 It is a liquid product, obtained from the juice and pulp of whole Aloe leaves, freshly harvested just before processing, 100% natural and handmade. 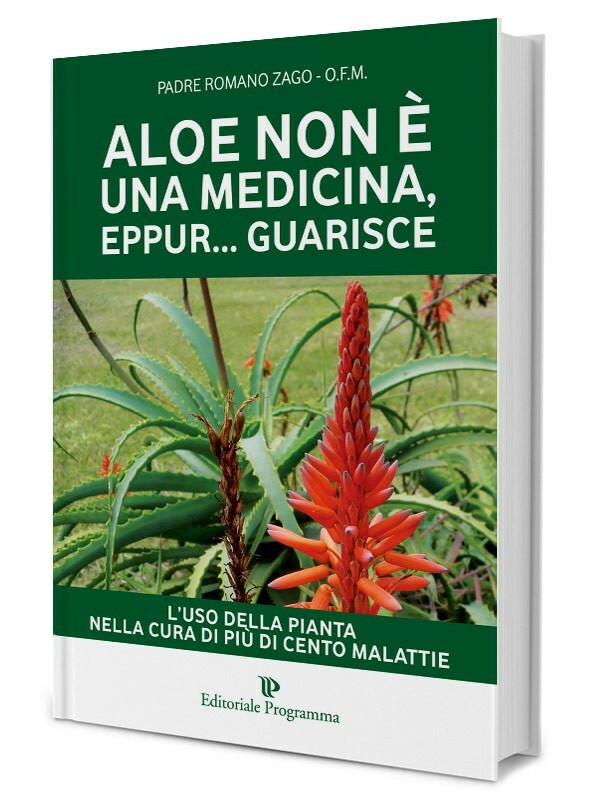 Pure Juice of Aloe Arborescens a unique composition made in Italy, without chemical preservatives, without pasteurization (pasteurization destroys most of the nutrients), naturally cold processed, thanks to a unique mix of essential oils 0.20% (our patent). 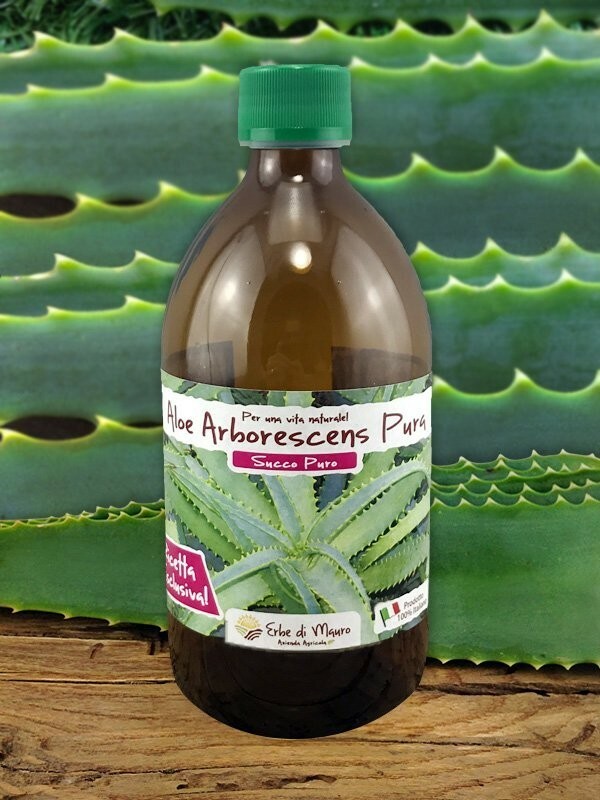 This allows us not only to preserve the 99.80% juice in a totally natural way, but also to maintain intact the well-known properties of Aloe Arborescens, a plant with anti-inflammatory, purifying, regenerating, energizing, purifying and hypoglycemic properties. The term "Arborescens" in Greek means bitter, in fact this juice has a decidedly bitter taste and can be consumed pure, or by mixing it with some water, with honey, with fruit juices, or with fruit salad. It must be stressed that this is a natural product, its, taste may slightly vary from season to season. The product is freshly made and for a greater preservation it should be kept in the fridge (possibly in the lower part of the fridge). Do not expose the juice to intense light and do not remove the paper around the container. It is advisable to take the juice with a steel or plastic spoon, do not drink directly from the bottle.